A new study by the Insurance Institute for Highway Safety (IIHS) shows that rising speed limits across the USA over the past 25 years have cost nearly 37,000 lives, including more than 1,900 fatalities in 2017 alone. The research, an update of a 2016 analysis, comes as IIHS and the Governors Highway Safety Association (GHSA) prepare to host a forum on the speed problem that will call attention to the trade-off between a few minutes of saved travel time and the increased risk of fatalities. The April 15-16 meeting to be held in Charlottesville, Virginia, and at the IIHS Vehicle Research Center nearby, will bring together a diverse group of stakeholders to design a model speed management program. Highway safety advocates, researchers, and local, state and federal officials will speak about different approaches to the problem, and will conclude with proposals for a speed management program and how it would be evaluated. 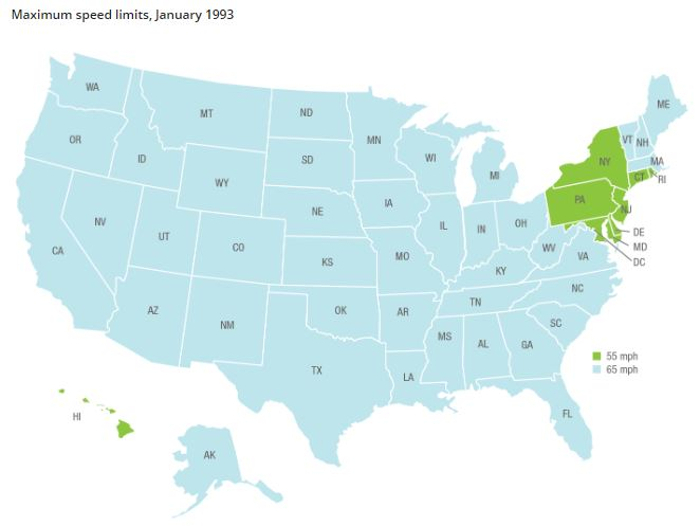 The IIHS report notes that maximum speed limits are set by the states, and they have been rising since the mid-1990s. 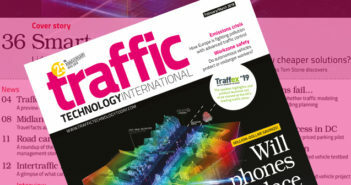 Proponents of raising the speed limit often argue that such increases simply bring the law in line with reality, since most drivers exceed the limit. Once the limit is raised, however, drivers go even faster. Currently, 41 states have maximum speed limits of 70mph (112km/h) or higher. Six states have 80mph (128km/h) limits, and drivers in Texas can legally drive 85mph (136km/h) on some roads. 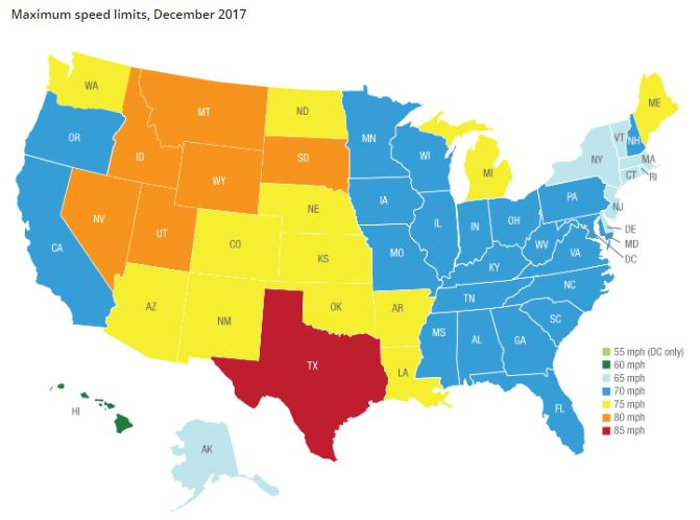 For the new study, Charles Farmer, IIHS vice president for research and statistical services, analyzed the effect of changes in the maximum posted speed limit in every state from 1993 to 2017. Looking at annual traffic fatalities per mile traveled for each state and taking into account other factors that affect fatality rates, including changes in unemployment, the number of potential young drivers (ages 16-24) and the seatbelt use rate, he calculated the effect of speed limit increases. 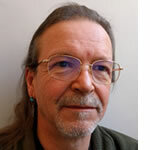 Farmer found that a 5mph (8km/h) increase in the maximum speed limit was associated with an 8% increase in the fatality rate on interstates and freeways, the roads most directly affected by changes to the limit, and a 3% increase on other roads. 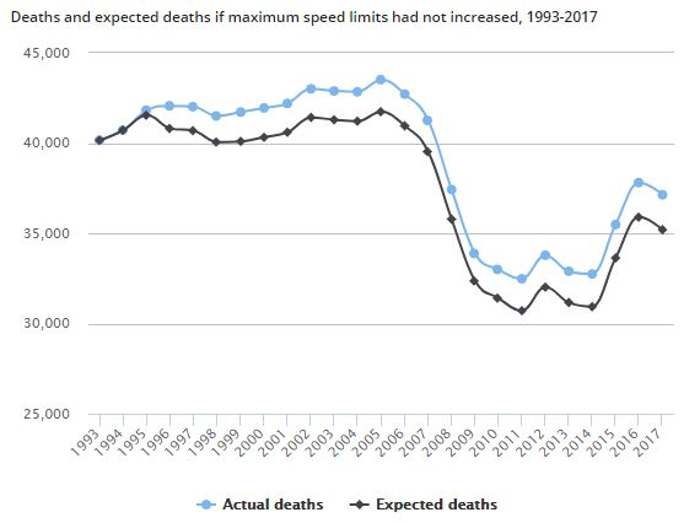 In total, over the 25-year study period, there were 36,760 more deaths, 13,638 on interstates and freeways and 23,122 on other roads, than would have been expected if maximum speed limits had not changed over that time. Of the 37,133 people who died on US roads in 2017, Farmer estimates that 1,934, or 5%, would still be alive if limits had not changed since 1993.